This is a very clean Novus 2000, which puts out factory specs. 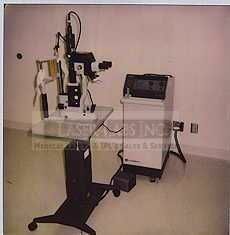 It comes with one of the best slit lamps made, the Zeiss 30SL. And we have the optional LIO for this laser if you need one.